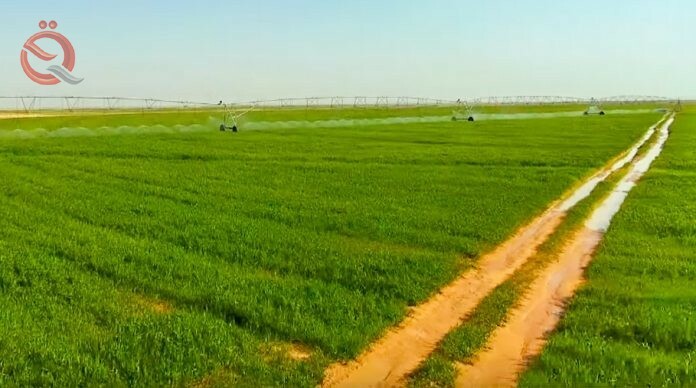 The General Secretariat of the Holy Husseiniya threshold opened on Thursday the city of Sayed Al Shuhadaa Agricultural for wheat crop in Ain Al-Tammar district west of Karbala. The project is managed by six people only and an area exceeding 20,000 dunums. "Agriculture is the main source of human life. The project will contribute to the provision of food basket for the Iraqi citizen and reduce the importation. It will also be a good experience to invest the rest of the desert lands and benefit from the news of the threshold of Husseiniya in the investment of land," he said in a statement read by the economy news. Desert ". Al-Shammari stressed that "the number of workers in this project is not more than 6 people." He pointed out that "the most important feature of this project is the use of modern irrigation systems by means of sprays and pivotal use of all modern systems of advanced agricultural mechanization began from tillage, The last stage of production and harvesting of the crop and the use of modern mechanization reduced the use of labor. " "More than 1,000 dunums have been planted this season," he added. "The plan for the future of the project is to cultivate 10,000 dunams and our slogan is to make the desert a green oasis."